Will cities shape our perception of food and nature? "Rubbin' Shoulders" at the Global Food Summit "WalkTheTalk". 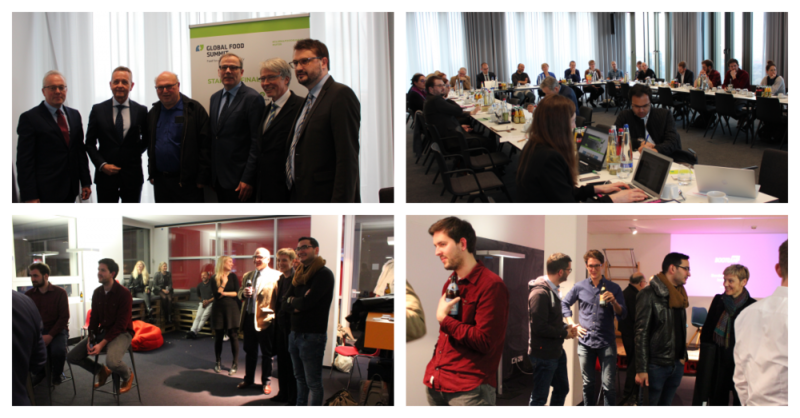 On 19 March 2019, our supporters and foreign delegations as well as the start-ups had the opportunity to exchange ideas in advance of the Global Food Summit. Professor Klaus Josef Lutz, Chairman of the Board of Management, welcomed the participants at the BayWa headquarters in Munich. In addition to the delegations from Canada and the Netherlands and their start-ups, Ubermetrics, EVONIK, Systemiq, Biotopia and many nominated start-ups also presented their work and projects and ended the evening at the Burda Bootcamp.